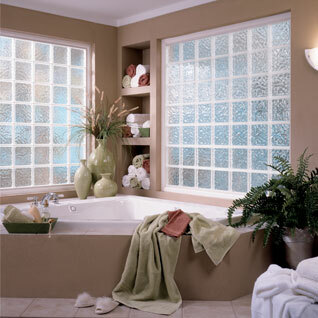 Pre-framed and ready to install, Hy-Lite's 2" thick True Glass Block Windows are lighter than traditional 3" thick glass blocks and are pre-framed for easier installation. Unique to these windows is Hy-Lite's Vinyl H-Bar Spacer System, which protects the blocks from pressure cracks as the house settles. Choose from squares, rectangles, stair steps and more in one of our four designer frame colors to complete your unique look. Click on an image above for a larger view. Additional images available in our Media Room. 7-1/2" x 7-1/2" x 2"